I see that I forgot to add my daily lagniappe yesterday and, in fact, didn’t really write a post yesterday. 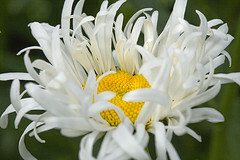 Ever had one of those chaotic days when you just couldn’t get it together? Yesterday was one of those days for me. Hopefully today will be better – I’m keeping my fingers crossed. I am today from my computer that it is sitting on my dining room table while the freshly cleaned carpet in the office area is drying. The office furniture has created quite the little obstacle course as it is sitting in the dining area as well. Today, I need to start cooking for the Mardi Gras party. 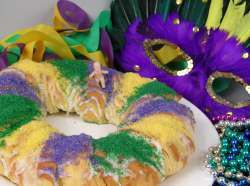 I need to make the king cake the pecan praline cheesecake, the cheese olive roulades, the mini crawfish pies and the shrimp balls. I could probably do some of this tomorrow after my morning seminar. I sound like I’m complaining but I really do love cook and I’m really glad that my carpet is clean and I’m happy to be doing the seminar and I’m really happy to be having the party. I think what I need to do is just take a break, have a cup of coffee and a slice of my delicious banana nut bread and read for about 30 minutes to let my mind kind of settle. I’m currently reading the Miss Julia series by Ann B. Ross. Just the kind of book I need right now. Thank goodness it isn’t one of Daniel Silva’s books in the Gabriel Allon series. I love those books but they are not books that would help settle my mind. Okay, maybe I can turn chaos into calm. Combine the butter, sugar, and cinnamon in a flambé pan or skillet. Place the pan over low heat either on an alcohol burner or on top of the stove, and cook, stirring, until the sugar dissolves. Stir in the banana liqueur, then place the bananas in the pan. When the banana sections soften and begin to brown, carefully add the rum. Continue to cook the sauce until the rum is hot, then tip the pan slightly to ignite the rum. When the flames subside, lift the bananas out of the pan and place four pieces over each portion of ice cream. Generously spoon warm sauce over the top of the ice cream and serve immediately. 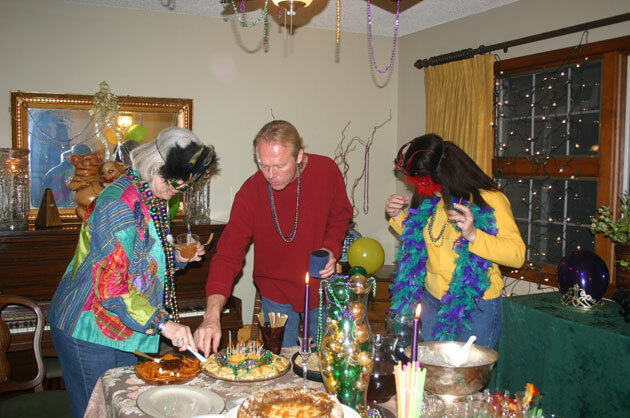 My neighbor and friend Darlene and I are planning a Mardi Gras party. We have formed our own Krewe. 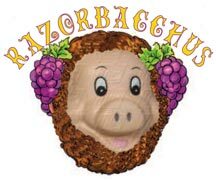 Since we are located in Arkansas we are the Royal Krewe of RazorBacchus. We are doing a toned-down version of the Cajun Courir where the revelers go from house to house begging for ingredients for the communal meal. We are just having everyone bring their favorite mardi gras dish and then we will secretly vote on the best. We have 3 different categories: Cajun, Creole and Southern. I love planning parties and am really looking forward to this one. After the ice storm we need to celebrate! That is one thing I love about the South, our willingness to celebrate anything. I’m reminded of a trip to New Orleans with my nephew’s lovely bride’s parents from New Jersey. After a couple of days in New Orleans they told us they now knew why the South lost the Civil War (also known as the War of Northern Aggression). It was because, from what they could see, we were too busy having a good time! 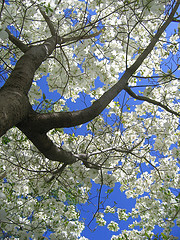 Celebrate today – after all, it is Friday-eve! In a heavy, deep pot, preheat peanut oil to 365 degrees F.
For the tartar sauce, combine all ingredients into a food processor and blend to achieve desired chunkiness, adjust seasoning and chill until ready to use. For the crab balls: In a large bowl, moisten bread crumbs with heavy cream. Mix in remaining ingredients. Shape into balls about the size of a walnut. Fry in oil until brown, about 5 minutes per batch. Serve Crab Balls while hot, with tartar sauce. Balls can also be made ahead of time and reheated.